DALLAS, TX--(Marketwired - October 06, 2015) - Eric Affeldt, CEO and president of ClubCorp -- The World Leader in Private Clubs® (NYSE: MYCC) -- has been named No. 1 on Golf Inc. 2015 "Most Powerful People in Golf" list, which ranks individuals' influence and their organizations' ability to positively impact the golf industry. This is the second year in a row that Affeldt has received this top honor. Affeldt tops the list of 30 notable leaders, which also includes Jack Nicklaus (No. 3), Tim Finchem, Commissioner of the PGA Tour (No. 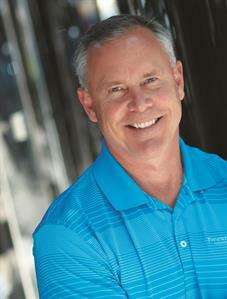 4), Mike McCarley, President of the Golf Channel (No. 8), Donald Trump (No. 11), and professional golfer Jordan Spieth (No. 18). The magazine details ClubCorp's growth fueled by its reinventions, last year's $265 million acquisition of Sequoia Golf along with the addition of another nine courses acquired in the past year. Affeldt has guided the company to a record 24 percent year-over-year revenue growth as of second quarter ending in June 2015, catching the eye of Wall Street with the company's stock price jumping 30 percent over the same time period. "It's an honor to be named to the list and a testament to our many Employee Partners for their service and dedication to our Members, helping ClubCorp stay on top in the industry," Affeldt said. Affeldt, who in addition to topping the list in 2014 and 2010, has ranked in a top five spot since 2007, less than a year after taking over as CEO and president following ClubCorp's acquisition by affiliates of KSL Capital Partners in 2006. Since its founding in 1957, Dallas-based ClubCorp has operated with the central purpose of Building Relationships and Enriching Lives®. 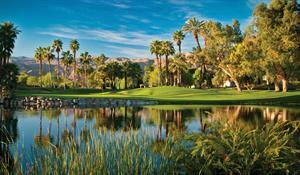 ClubCorp is a leading owner-operator of private golf and country clubs and private business clubs in North America. ClubCorp owns or operates a portfolio of over 200 golf and country clubs, business clubs, sports clubs, and alumni clubs in 26 states, the District of Columbia and two foreign countries that serve over 430,000 members, with approximately 20,000 peak-season employees. ClubCorp Holdings, Inc. is a publicly traded company on the New York Stock Exchange (NYSE: MYCC). ClubCorp properties include: Firestone Country Club (Akron, Ohio); Mission Hills Country Club (Rancho Mirage, California); The Woodlands Country Club (The Woodlands, Texas); Capital Club Beijing; and Metropolitan Club Chicago. You can find ClubCorp on Facebook at facebook.com/clubcorp and on Twitter at @ClubCorp. About this company ClubCorp Holdings Inc.